When Gail ventured out on her own she wanted a sophisticated pattern and color scheme to match her rich yellow and grey office. 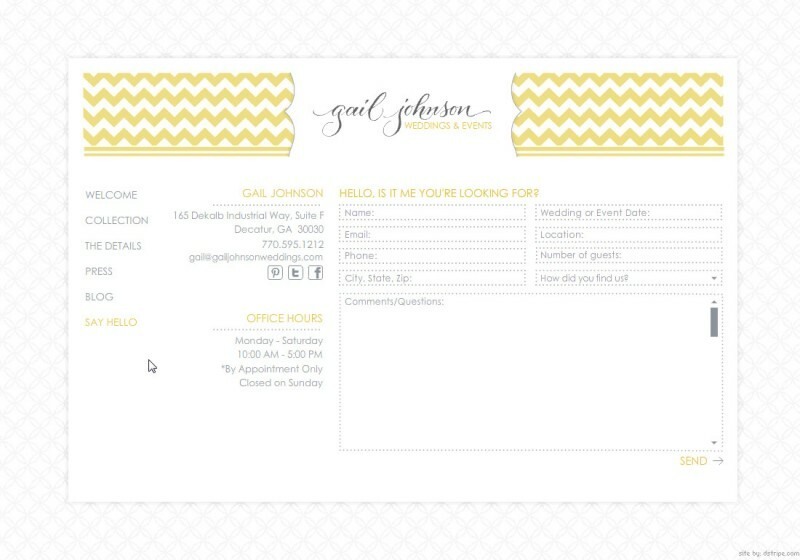 Bold golden chevrons frame a welcome page offering the possibilities of your next event. 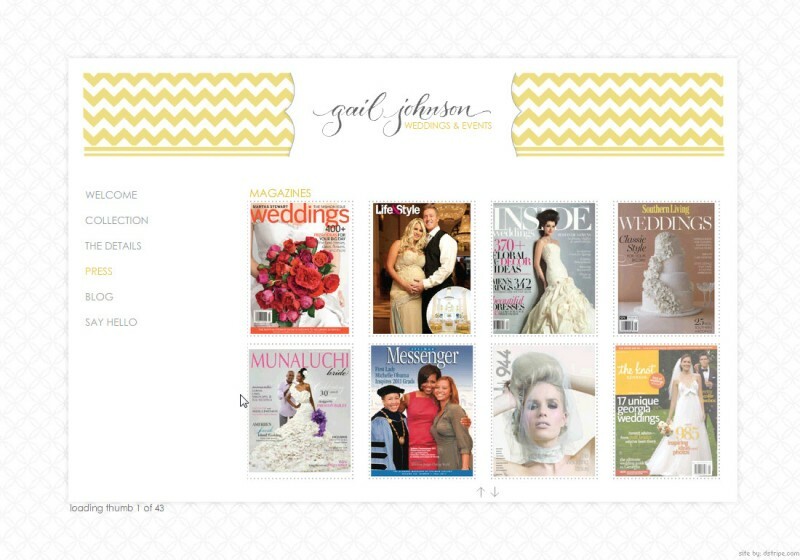 With testimonials mixed in, her collection shows some elite clients and fabulous gatherings. 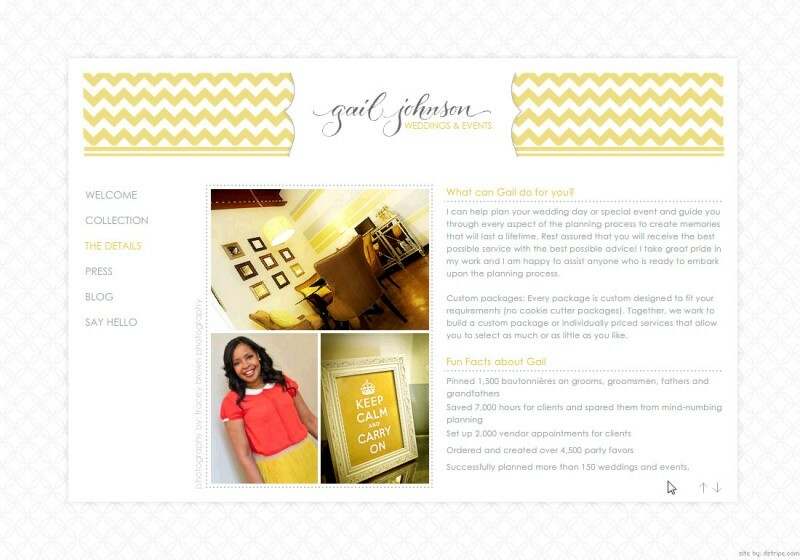 Fun facts about Gail add a touch of personality to the details. Press is simple: magazine covers with a rollover to a little more, getting the accolades across without over doing it. 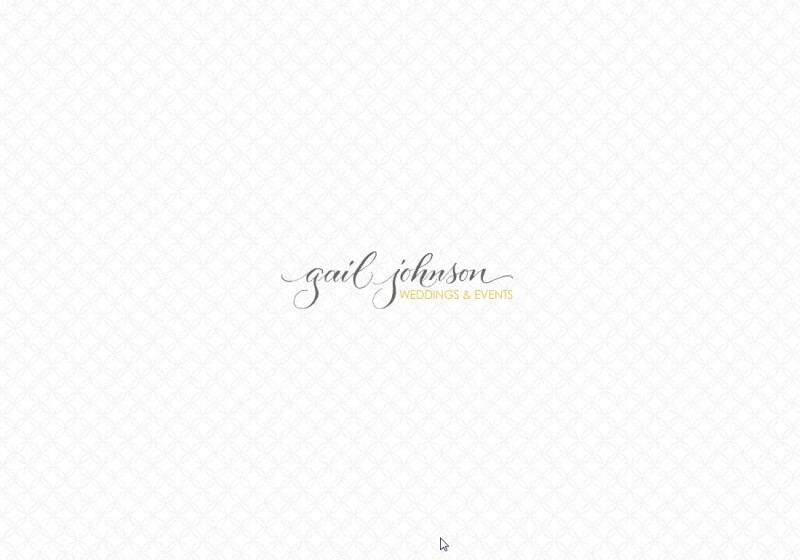 Saying hello to this fantastic event planner is easy with a simple form. 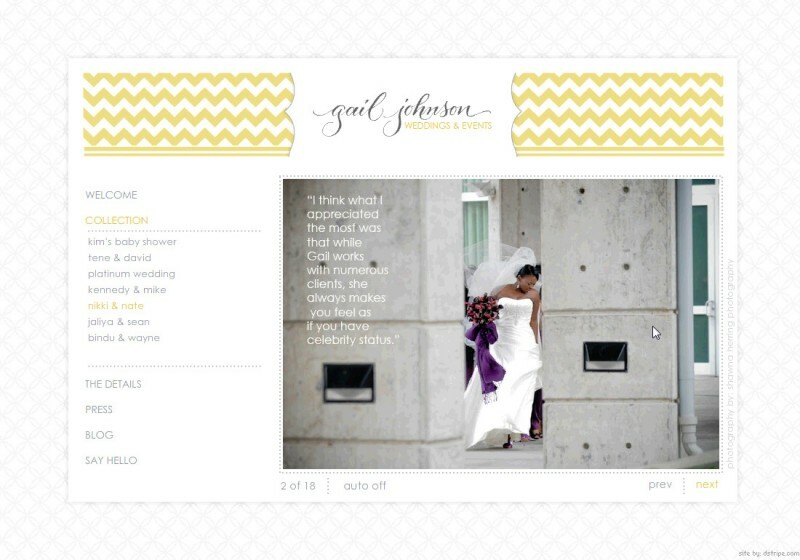 Deb has designed two fabulous websites for me. 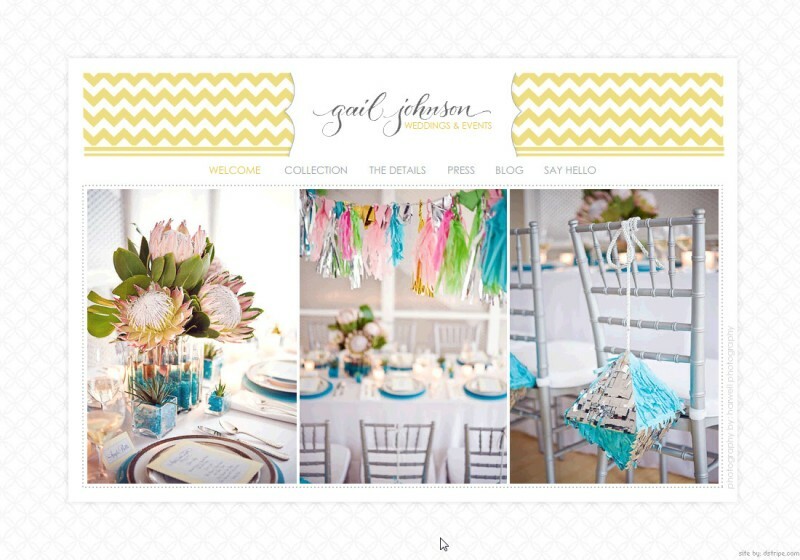 My new website exceeded my expectation and her creative style allowed us to have a lot of fun during the planning process. Everyone that I've talked to has raved about the website!